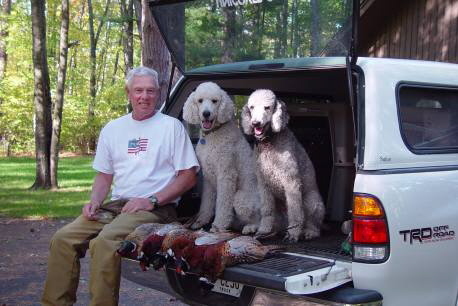 Gary, Beau and Scout, the owner and dogs, that hunt pheasants and ducks. On this site you will meet four main characters - Gary, Beau, Scout, and Callie. 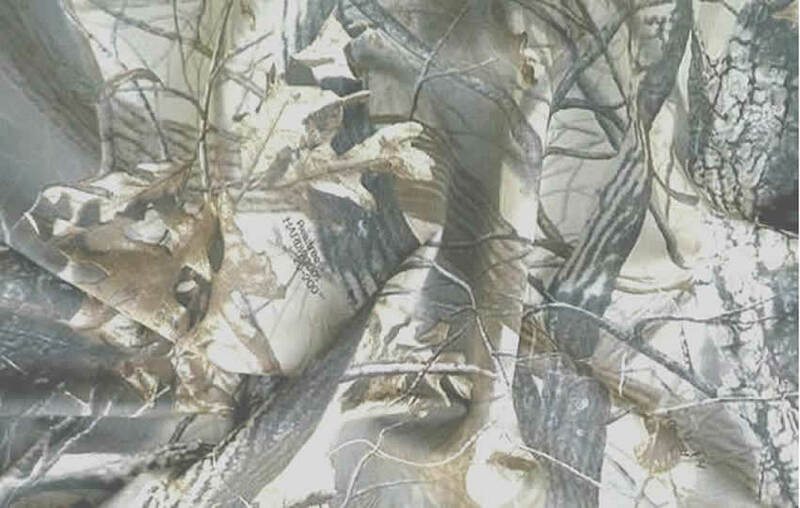 We are tied together by our love of being somewhere out in the fields either training or hunting. Before continuing there's a short history lesson on the page--Predecessors --about how Poodles have become almost an obsession for the Scovel family . Our first three poodles, Nikki, Loki, and Nero, in that order, have passed on. I never considered hunting with a poodle until Ole my last lab had to be retired. That's when I decided to give Nero a chance. He was five years old at the time but did well enough to convince me poodles would replace labs as my choice to hunt over. I really wanted a non-shedding house dog that could hunt. I now own three that do and am also hooked on training them for UKC and AKC advanced level hunt test titles. See for yourself as you look further about how well they have done. Their success convinced me to breed Beau x Callie after I had them both health tested for hips, eyes, thyroid, and SA. Those seven pups were sold fast. I followed up with one more breeding of Callie to a proven hunting stud I knew well, but not my own. Callie's second litter of another seven were all spoken for prior to being whelped. It was interesting and fun raising two litters but have decided that was enough. We are no longer in the breeding business but check out the "Puppy Page" to see if we have posted information on other litters with good hunting potential.